A crash course in managing personal wealth! Too often, textbooks turn the noteworthy details of investing into tedious discourse that would put even Warren Buffett to sleep. Investing 101 cuts out the boring explanations, and instead provides a hands-on lesson that keeps you engaged as you learn how to build a portfolio and expand your savings. From value investing to short selling to risk tolerance, this primer is packed with hundreds of entertaining tidbits and concepts that you won't be able to get anywhere else. 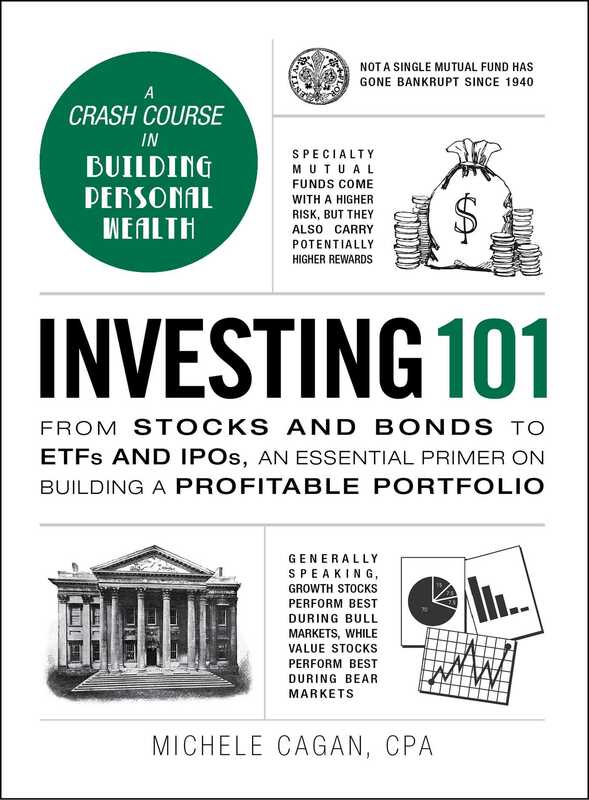 So whether you're looking to master the major principles of investing, or just want to learn more about stocks and bonds, Investing 101 has all the answers--even the ones you didn't know you were looking for. Michele Cagan is a CPA, author, and financial mentor. With more than 20 years of experience, she offers unique insights into personal financial planning, from breaking out of debt and minimizing taxes, to maximizing income and building wealth. Michele has written numerous articles and books about personal finance, investing, and accounting, including The Infographic Guide to Personal Finance, Investing 101, Stock Market 101, and Financial Words You Should Know. In addition to her financial know-how, Michele has a not-so-secret love of painting, Star Wars, and chocolate. She lives in Maryland with her son, dogs, cats, and koi. Get more financial guidance from Michele by visiting SingleMomCPA.com.